Hi everyone, today we’re talking robots, Ranked borders, chat, and champions. As a heads up—look out for another Ask Riot next week, then we’ll be back to biweekly posts after that. Why isn’t the border I achieved last season showing up on the loading screen? I got gold and it’s not showing, although it shows on my profile. You’re not going crazy or anything, we changed up how the loading screen works as part of our Ranked changes for Season 2019. On one hand, we really liked the way borders made a lot of players push for a certain rank so they could show it off to everyone for an entire season. On the other hand, the border didn’t reflect your current progress. In practice, that meant many players didn’t feel rewarded while they were climbing. Going forward, your border always reflects your current rank. That means if you finally hit Gold, your border will change instantly to reflect your accomplishment. The past rank reward didn’t go away though—it’s part of your banner, which is on your profile, in the lobby, and on the loading screen. To see it on the loading screen, just click your player card to flip it over. One quick note—for Normal games, Ranked borders are currently tied to whether you’ve selected your Ranked armor or Prestige border in the summoner icon selector. We’re looking into changing that so you have more control over how you show off to others. Is it true that there will be chat on the loading screen before the game starts? Aww yiss, the long-awaited loading screen! We originally planned to have this super-duper feature ready when the new loading screen shipped. Unfortunately, we discovered issues that would degrade the chat experience. We want all players to have a great first experience with the chat model, so we’re working hard at getting this feature ready to deliver to players worldwide. Effectively, it’s case by case, which I’m sure can feel frustrating. As a rule of thumb, we try to support the new position, but admittedly there are quite a few reasons we might choose to intervene. This could happen when the resulting gameplay of the new position is unhealthy and/or uninteractive, or when it actively comes at a cost to a specific player need the champion was supposed to be filling. For example, when Pyke started looking incredibly strong in mid lane, we actively made some changes to him to encourage his support role a bit more because he’s intended to fulfill a very unique play experience there (that isn’t offered by really any other champion). For something like Kayle’s rework, we’re unlikely to be concerned with whether she’s played mid or top because her play experience isn’t intended to be substantially more compelling in either position. However, we would consider making changes if she seemed much better as a jungler than laner because that would probably be the result of attempting to hide her intended weak early game from PvP scenarios. How is robotic evolution seen across Runeterra? Would someone like Orianna be treated differently than humans? There are places in Runeterra where golems of stone or wood walk the earth, or people are quite happy to reanimate the bodies of the dead… but those are all primarily magical in origin, rather than technological. I’m not sure what they would make of the automata created without magic, if they were ever confronted by such things. 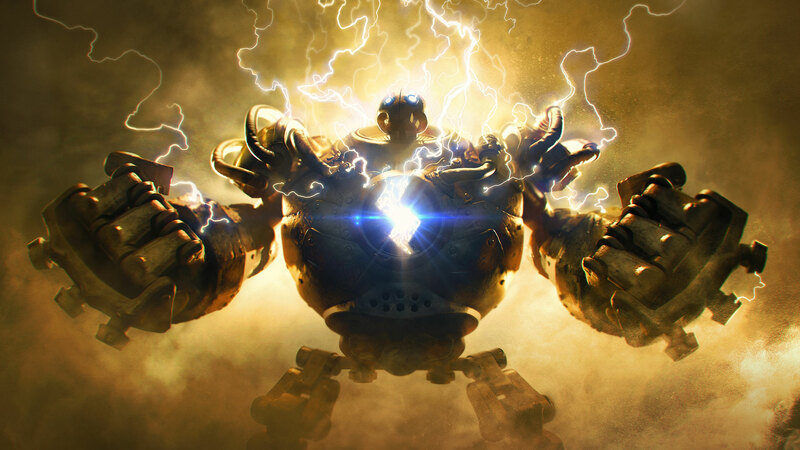 Blitzcrank is one of the only examples we have of an automaton achieving any level of true sentience. (He’s still working out some of the bugs, but he means well.) Even so, he’s not particularly well known even by the people of his home city—it’s not that his existence is a secret, but there might be some folks who could feel very threatened by the creation of artificial life, whether it was accidental or not.